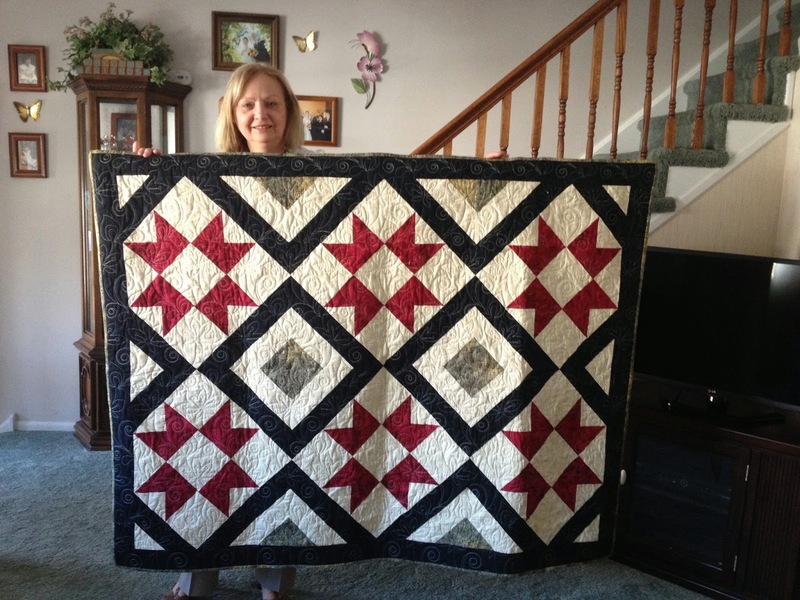 This is a quilt that will be hanging on customer Irene's wall. 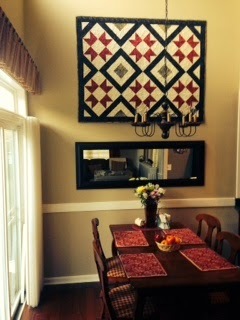 She has very high ceiling and wanted something for hanging above her 24" x 64" mirror. I cannot wait to see it hanging! This was custom order to a specific size 50" x 64" and the colors needed to be as closely matched to her decor as possible. Enjoy your wall hanging Irene for many, many years!